From the royal blue waters of Exuma Sound to the crystal-clear green waters of the Grand Bahama Island and from the magnificent beaches of fine sand to the accompanying lush landscapes those who travel to the Bahamas will not be disappointed. Quite simply put the scenery is breathtaking, both on land and underwater. The Bahamian ecosystem offers more than a thousand diving sites whether you can both snorkel and scuba dive. However for all its grandeur and unforgettable sights the Bahamas also offers some of life's more simple pleasures: digging your feet in to warm sand, a glass of rum, good seafood, and the smile and warmth of the Bahamian people. The Bahamas are renowned for their world class diving, and with good reason, the beauty of local coral reefs underwater fauna is almost unparalleled. Beneath the clear waters revelers can come face to face with sharks, dolphins and stingrays. Between January and February, thousands of groupers gather between Andros and Long Island and between Berry Islands and Cat Island to breed. If you are interested in seeing the famous "walking lobsters" we recommend traveling in November. If you see yourself more as underwater explorer rather than a marine biologist well then you are in luck, numerous caves and caverns as well as centuries old shipwrecks are scattered under the waters surrounding the Bahamas. As well as diving, the Bahamas has a reputation as a top notch destination for big game fishing. Whether it is your first time casting a line of the pier or you are a seasoned deep-sea enthusiast determined to beat one of the 50 world fishing records set in The Bahamas, you will find the type of fishing that suits you. Off the reef you will find the habitat of the famous bonefish, one of the prolific species to be found in local waters. If you manage to get the upper hand and capture the beast then you will join the ranks of such famous ?fisherman? as writer John Grisham and actors Laurence Fishburne and Michael Keaton. If hunting the bonefish does not entrance you then why not charter a boat and troll the deep seas for a prized marlin or tuna. 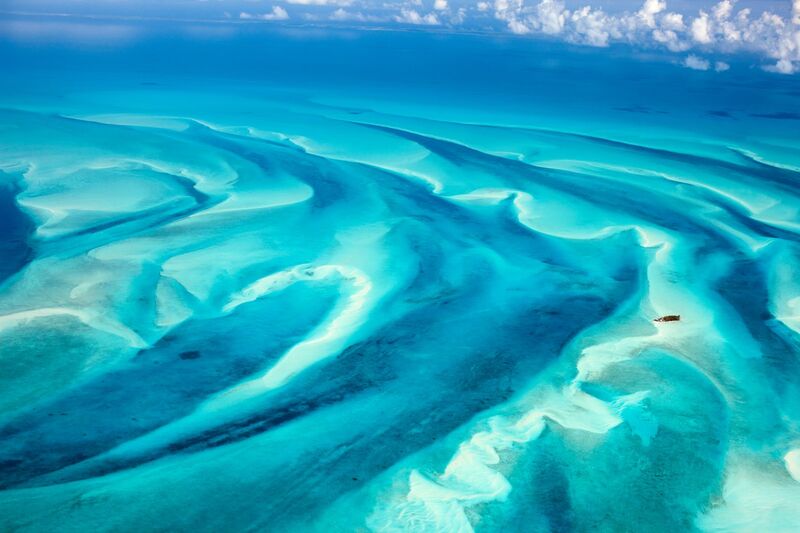 It is no secret that the Bahamas have some of the most unforgettable beaches in the world. Yet for a paradise such as this no ordinary beach would do, which is why on Harbour Island you are treated to an opportunity to plunge your feet into the hot sand of the Pink Sand Beach, and naturally to cool of you can plunge in to the waters of the pink sea! The pink glow comes from the shell of a microscopic sea creature living on the coral reefs. Waves crush the pink and red shells and wash them onto the beach. The marriage between the setting sun and the pink coral beach provides an enchanting and beautiful seaside setting. The most popular beaches in tourism represent only 10% of the archipelago sea. Andros, or as the locals refer to it "the Big Yard", is the country's unexplored wilderness. The area is spread over an impressive 3700sq kilometre of swamps, palm savannahs and eerie forests full of wild boar and, according to legend, an evil half man half bird creature known as the Chickcharnie. While by far the largest island in the Bahamas, Andros is the least densely populated one. On the eastern shore is dotted with tiny hamlets while the entire western side of the island is an uninhabited area of swampland known as "The Mud". A 225 km-long coral reef, the third largest in the world, is located only a few hundred meters off the east shore. Be advised travel in Andros is far from easy, since public transportation is almost non-existent. Same goes for restaurants, so unless you are fortunate enough to be staying at one of Andros's all-inclusive resorts, expect a rather rough, albeit unforgettable, experience. With its enticing crystal clear waters Bahamas is a paradise to anyone who loves to snorkel or scuba dive. However, regardless of whether you are an amateur or a professional, avoid, as far as possible, to go diving by yourself. If being accompanied is not possible and you do not wish to organize a dive through a licensed company, be sure to always tell someone else of where you are intending to dive. While the cool waters might provide necessary relief from the hot Bahamian sun, unfortunately they do not protect from it. Which is why if you go snorkeling always wear a t-shirt or sunscreen to protect yourself from getting burned. Also be sure to remember that it is unadvised to go scuba diving in the 24 hours leading up to your flight as that can result in health problems. When traveling abroad, it is always wise to be careful, especially when it comes to valuable documents such as your passport. Over the whole of the archipelago, it is best to travel with a photocopy of your ID while keeping the original in the hotel's safe. While the risk of theft is not considered as being high, we can all agree that losing your travel papers is a sure way to spoil any vacation. If you wish to get to know the Bahamians, there is an interesting official meeting program that is called "people to people". If you take part it will allow you to spend a day with the inhabitants of New Providence, Grand Bahama, Eleuthera, the Exumas, the Abacos, the Biminis and San Salvador. Just ask your tour provider or enquire at a tourist office in Nassau or Freeport to look for people with whom you share common interests. While admittedly this would not interest everyone, it is an undeniably original and fun way to experience the Bahamas, as it allows you to see life through the eyes of locals. If you find yourself in Nassau, be sure not to miss the opening of the Supreme Court which operates only four times a year (in January, April, July and October). The event is accompanied by a superb procession in the city center. Also worth seeing in Nassau is the changing of the guard at the Governor's Palace that takes place every other Saturday. In order to move from one island to another, you can use boats, while this is much more scenic and relaxed it does depend on the distance you wish to cover and how much time you have available. If you do not have time to spare, or would simply prefer to spend it on something other than travel, the there are also many air routes from Nassau to the Outer Islands. They are provided by Bahamasair (be warned it is not known for its punctuality) and private companies (a very interesting if somewhat pricy experience). If you wish to charter a plane be sure to ask your hotel, as some are responsible for chartering private planes. -The Bahamas are mostly a destination for leisure and relaxation; people looking for cultural activities might be disappointed. The Bahamians are generally known for being affable, good-natured and sociable people, also ones that especially love a good party. If you wish to discover the extent of the locals' joy de vivre for yourself then the Junkanoo festival, which takes place on December 26 and January 1, is a perfect opportunity. The festival, which takes shape in the form of a street parade filled with music, dancing and elaborate costumes, is celebrated across the entire country however the biggest one takes place in the capital. The Junkanoo festival is a perfect representation of the complexity of the Bahamian culture, which has its roots in African, Caribbean and English cultures. The festival dates back to the 16 century when local slaves were given a three day holiday after Christmas when they could be together with their families. However, the origins of the word "Junkanoo" are more difficult to trace, one popular theory suggests the word is derived from the name of an African chief, John Canoe, who won the slaves the right to have the holiday. After the emancipation the original holiday transformed in to a more formal and well organized celebration. If you are unable to attend the festivities in the winter do not worry, if you are in the Bahamas during the summer, you can go to Nassau for the Goombay, which is a miniature Junkanoo that takes place every Wednesday on Bay Street. Also in Nassau you can visit the official Junkanoo museum which boasts an impressive collection of traditional masks and costumes. Indian, French, Italian, Chinese...The variety of culinary specialties found on Grand Bahama and New Providence is almost as diverse as the scenery is beautiful. Peas n' Rice which is composed of pork cooked with onions, celery, tomatoes, rice and peas is the country's national dish. Unsurprisingly marine produce also plays an important role in gastronomy throughout the archipelago. Perhaps the most popular of all the sea's bounty is the conch. While for a lot of people conch might be more associated with hearing the sea in your living room and collecting shells along the beach when you were young, it is also quite simply put delicious, and the locals we be sure to make you think so as well. Particular attention deserves a special conch fish soup (which contains along with the aforementioned conch, tomatoes, herbs, vegetable and pork), cold conch salad and grilled conch. However if after tasting it you are still not impressed by conch do not despair for there are many delicious fish dishes, to name but one local langoustine is almost to die for. However be advised, one of the many similarities between the cuisine of the Bahamas and that of the Caribbean is the love for a bit of spice. Some dishes might bring tears to your eyes, not only because of the quality of the food but also of the abundance of heat. So if spiciness is not your thing, be sure to always verify with your waiter before ordering local delicacies. For those of you with a sweet tooth Bahamian cuisine will not disappoint. The coconut takes centre stage in the desert section of the menu, from cakes to heavenly ice cream. However other fruits are not ignored either, after the coconut bananas, pineapples and mangos are the most popular ingredients. And what better way to wash down a tasty sweet treat than with a glass of fresh lime juice, while a bit sour it is definitely refreshing. If lime juice does not quite satisfy your thirst, or you are looking with something with a little more kick to end your day with then be sure to try one of the local cocktails. The most popular one is undoubtedly the Bahama Mamma, which is made using rum, coconut rum, pineapple, orange lemon and pomegranate. For something lighter we recommend Kalik, a local blond beer which incidentally is one of the best ways to cool off during a hot Bahamian summer's day. 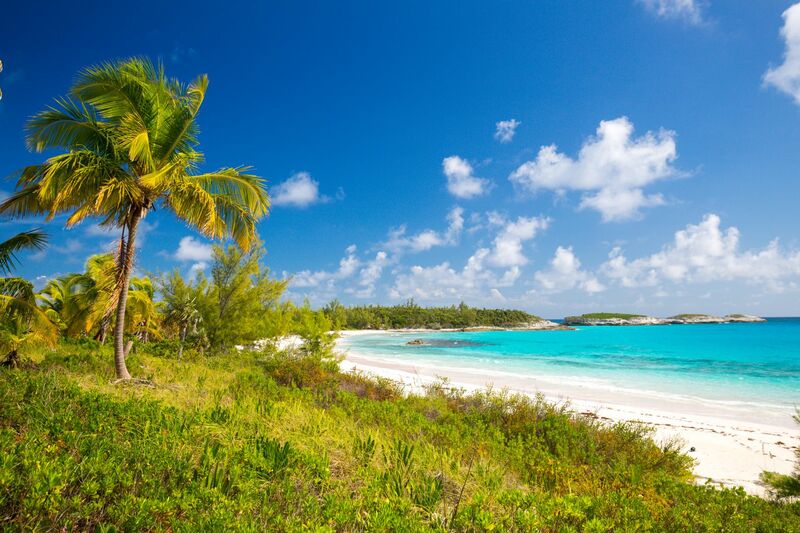 Find weekly weather forecasts for Bahamas . Different criteria make it possible to predict with precision the best time of year to go to Bahamas . A comprehensive weather score, made up of temperature indicators, bad weather predictions, sunshine levels and wind speeds, will allow you to choose the activities best suited to the weather conditions and therefore make the most of your holiday in Bahamas . Locally manufactured, basketwork articles abound in the different markets of the large islands. However, you can also find bargains on international goods. Jewellery, watches, perfumes, clothes, photographic apparatus or decorative items can be 10 to 40% less expensive. The main shopping places are Bay Street in Nassau, the International Bazaar in Freeport, or the Market Place at Port Lucaya. Shop opening hours: from Monday to Saturday, from 7:00 AM to 6:00 PM, and on Sunday from 8:00 AM to 10:00 AM. Our journalists' reviews for you 45 hotels Bahamas . Take a look at our hotels, their facilities or their value-for-money score according to your departure dates so that we can find the best offer to suit you Bahamas . Book a hotel Bahamas it's never been so simple !